Ever since Sigma’s founding, we have always believed that a photo is only as good as the lens. It follows that choosing a new lens opens up fresh possibilities for photographic expression. This philosophy has inspired Sigma’s quest for lens system perfection throughout our 50 year history. Optimized for DSLRs with APS-C size image sensors, Sigma DC lenses leverage original technology fostered in the development of Sigma SD series cameras. The configuration of lens elements and the lens coatings represent the culmination of decades of optical engineering experience. The result is truly excellent performance in a compact, lightweight format that offers outstanding ﬂexibility to the serious photographer. 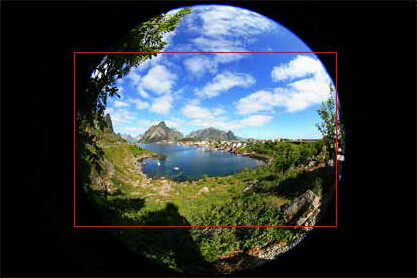 *DC lenses have an image circle that covers APS-C size image sensors. Not for use on digital cameras having image sensors larger than APS-C size or on 35 mm or APS film cameras, as vignetting will occur. *To fnd the 35 mm camera equivalent focal length, multiply the DC lens focal length by the “crop factor” (digital multiplier) of 1.5, 1.6 or 1.7, depending on the brand of DSLR camera on which the lens will be used. 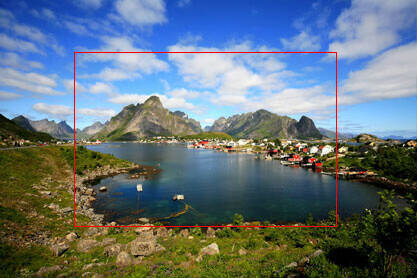 To fnd which DC lens is equivalent to a full frame lens, divide the focal length of the full frame lens by the same crop factor. Designed to deliver the ultimate in performance on full-frame digital SLRs, Sigma DG lenses also bring out the best in 35 mm SLR film cameras and APS-C size DSLRs. 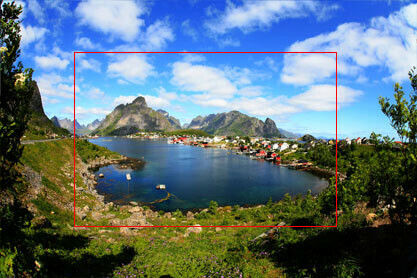 Remarkable image rendition is achieved by comprehensive correction of aberrations and distortions. Special care was taken to thoroughly minimize color fringing caused by lateral chromatic aberration which is particularly noticeable at high resolution in digital photography. DG lenses can offer both high contrast and subtle tonal gradations, unmarred by ﬂare and ghosting, thanks to Sigma’s digitally-optimized optical design and original Super Multi-Layer Coating technology which suppress reﬂections between image sensor and lens surfaces. 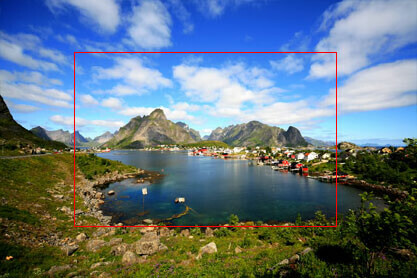 Large image circles assure ample peripheral illumination to prevent vignetting. 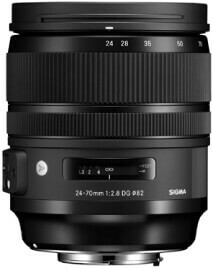 SIGMA’s professional-grade prime lenses and wide-aperture zoom lenses that maintain their maximum f-stop regardless of zoom position. Aspherical lenses offer greater design latitude, raise performance, permit use of fewer lens elements and allow a more compact size. 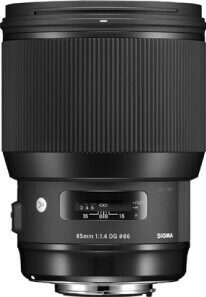 SIGMA’s top-of-the-line telephoto lenses use at least two elements of ELD, FLD, SLD or other low-dispersion glass to deliver impeccable image quality unsullied by chromatic aberration. An optical stabilizer mechanism built into the lens helps assure a sharp image while giving you freedom of movement and more latitude in camera settings. Using a motor driven by ultrasonic waves, these lenses offer speedy auto focusing and quiet operation. This indicates a lens that will accept available Sigma APO Teleconverter attachments, which increase focal length and support AE (automatic exposure) operation. 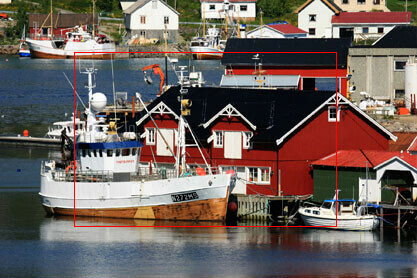 Locating the focusing elements in the rear portion of the lens contributes to faster auto focusing and reduced noise. To increase stability, this lens configuration uses movable internal lens elements that adjust focus without changing the length of the lens barrel. 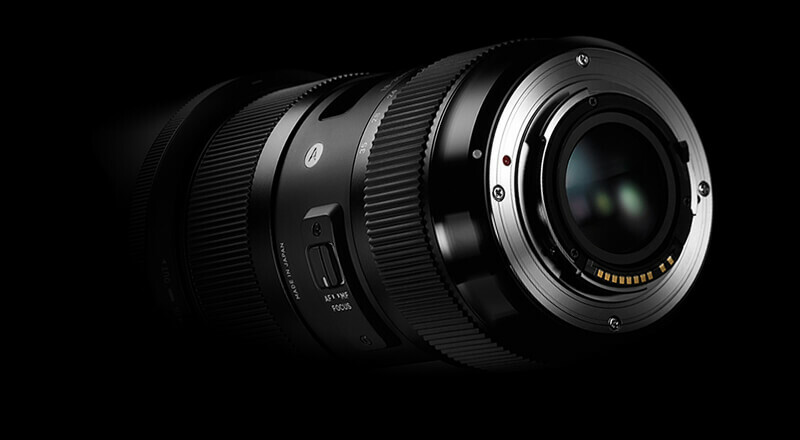 SIGMA is organizing all its interchangeable lenses into three product lines. Each line has its own clearly defined concept, and every lens we develop from now on will be assigned to one of these lines. Our objective is not to impose a new way of categorizing equipment, but simply to clarify the approach we have taken in developing each new lens. Our hope is that these new product lines will help guide photographers, giving an overview of the type of image creation each lens was designed to support. You might think of it as adding tags to a database. 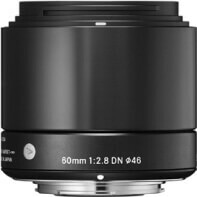 The new product line categories provide additional guidance, but it is ultimately the photographer who will consider this information in choosing the right lens. As we take our lenses to a new level of quality we’re providing additional information that describes them from a new perspective. Simply by identifying the product line that resonates with his or her own photographic orientation, any photographer will be able to fnd the right SIGMA lenses quickly and easily. This is sure to close the gap between the photos you’re taking now and the photos you’re capable of taking. 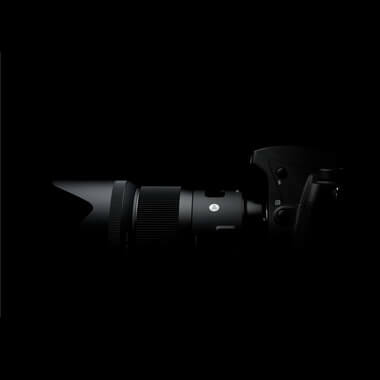 SIGMA’s new product lines are going to redefine the way you relate to photography. Featuring the very latest technology, and combining optical performance with compactness, our high performance Contemporary line covers a wide range of needs. Designed with a focus on sophisticated optical performance and abundant expressive power, our Art line delivers high-level artistic expression. While offering sophisticated optical performance and expressiveness, our Sports line lenses deliver high action-capture performance, enabling photographers to get exactly the shots they want. Incorporating the very latest technology in these lenses, SIGMA has solved the difficult problem of keeping size and weight low without compromising on advanced optical performance or utility. High-performance, versatile, compact and superbly portable, the lenses in our Contemporary line can handle landscape shots on your travels, casual snapshots, family pictures, and all sorts of other photo opportunities. With unsurpassed expressive performance, these lenses reach the high standards demanded by photographers with an artistic, creative inclination. Developed with the maximum emphasis on artistic touch, our Art line lenses are designed to meet the expectations of users who value a creative, dramatic outcome above compactness and multifunction. Along with landscapes, portraits, still life, close-up and casual snaps, they’re perfect for the kind of photography that unleashes the inner artist. Ideal for studio photography, they offer just as much expressive scope when capturing architecture, starry skies, underwater shots and many other scenes. With their high-level optical performance and expressive power, these lenses can capture fast-moving subjects, even at distance. This highperformance line also offers a variety of functions to aid the photographer in challenging conditions and scenarios. Besides sports photography, the lenses are also perfect for nature shots featuring birds, wild animals and other creatures, and for capture of aircraft, trains, race cars and more. Another major feature of our Sports line lenses is their wide range of customization functions: using the software provided, all sorts of settings can be tailored to the personal preferences of the photographer. 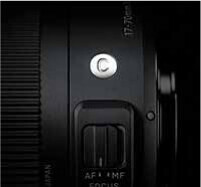 Sigma lens development is dedicated to one thing: creating great photographs. The key is core technology research, which lets us refine our advanced processing and fabrication technology, while finding unconventional solutions to optics challenges. It is only when a lens can deliver an excellent image that you may appreciate features of mechanical design or control technology that support operational comfort and convenience. Technology should be dedicated to ever more faithfully capturing precious moments and beautiful scenes, with functionality commensurate with this ability. The scrupulous care with which we approach all facets of technology is reﬂected in the extraordinary quality of each and every Sigma lens. 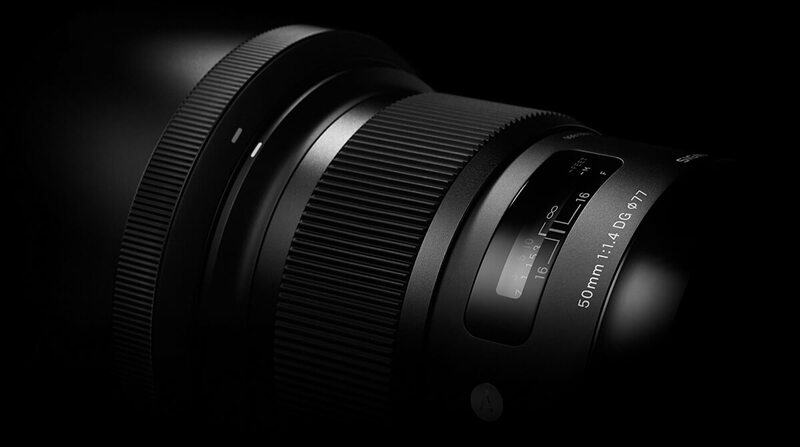 Each of Sigma’s more than 40 lenses incorporates original Sigma technology and expertise gained from decades of experience, guided by an uncompromising philosophy. Here we introduce Sigma’s technology, developed and perfected to meet the varied and sophisticated needs of photographers while stimulating fresh photographic creativity. Original technology minimizes secondary spectrum. The degree to which light is refracted (bent) by glass depends on the light’s wavelength (color). This fact causes different colors of light to focus at slightly different points. The result is chromatic aberration, the color fringing that is particularly noticeable in telephoto lenses. Most chromatic aberration can be removed by combining a high refractivity convex lens element with a lowrefractivity concave element. But residual chromatic aberration known as “secondary spectrum” can only be corrected with selected lowdispersion glass materials. In addition to ELD (Extraordinary Low Dispersion) glass and SLD (Special Low Dispersion) glass, Sigma uses FLD (“F” Low Dispersion) glass, which has the highly desirable anomalous dispersion characteristics of ﬂuorite. Careful arrangement of these exclusive low-dispersion glass elements gives Sigma lenses superlative image rendition untarnished by residual chromatic aberration. Focus systems for optimized performance. AF drive motor for rapid focusing and quiet operation. The Hyper Sonic Motor (HSM) is an original Sigma development that uses ultrasonic waves to drive the autofocus mechanism. Its extremely quiet operation helps avoid disturbing photographic subjects. High torque and speed assure rapid auto-focus response. Sigma uses two types of HSM: Ring HSM and Micro HSM. The Ring HSM configuration permits manual fine tuning of focus (manual override) by turning a focusing ring after auto-focus operation. Effective correction of spherical aberration and distortion. 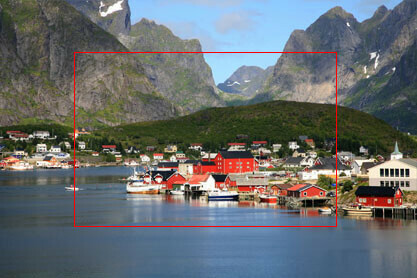 Sigma’s aspherical lens technology contributes to outstanding optical performance and compact dimensions. These aspherical lens elements compensate for the spherical aberration and distortion which cannot be completely eliminated using conventional spherical lens elements alone. 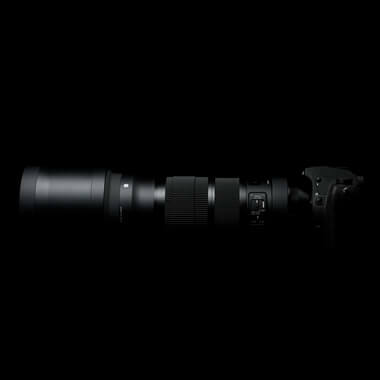 They are also key to reducing the size and weight of high-power zooms and other large lenses while improving image quality. Sigma has two kinds of aspherical lens technologies. 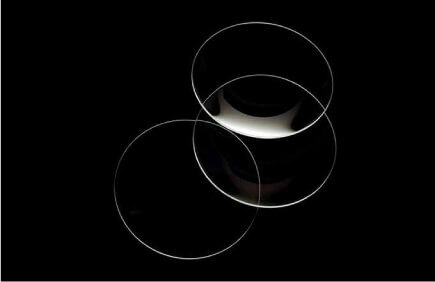 Hybrid aspherical lens elements are made by forming a polymer in an aspherical shape on a glass lens surface. Glass mold aspherical lens elements are made by direct forming of the glass lens material. Proprietary multi-layer coating technology to virtually eliminate ghosting and ﬂare. 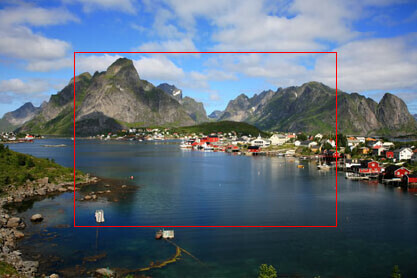 Sigma’s own Super Multi-Layer Coating suppresses ﬂare and ghosting by preventing reﬂections within the lens. All DG and DC lenses in the current Sigma range feature this original technology. 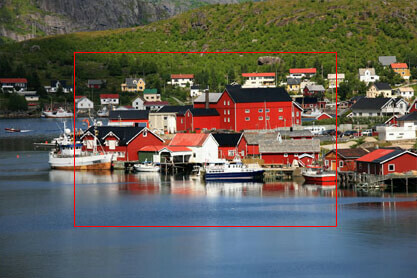 In digital cameras, ﬂare and ghosting may also be caused by reﬂections between the image sensor and lens surfaces. 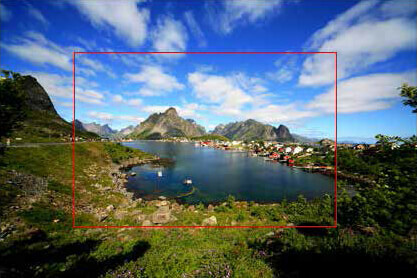 Here too, Sigma’s Super Multi Layer Coating is highly effective, assuring images of outstanding contrast. Advanced focusing mechanism reduces lens movement and aberration variation. This system adjusts the distance between lens groups while focusing, thereby reducing the amount of lens movement required. The result is less variation in aberration at different shooting distances. Benefits are particularly great in macro lenses because they cover a wide range of shooting distances, and in wide-angle lenses which employ asymmetric configurations of lens elements. Designed to optimize bokeh near maximum aperture. The polygonal shape of a conventional iris diaphragm causes outo-focus light points to appear polygonal. A rounded diaphragm is designed to produce rounded outo-focus light points when opened to near maximum aperture. This creates attractive bokeh effects in many situations, such as when photographing a subject against an out-of focus surface of water from which light is being reﬂected. Original Sigma technology counteracts camera shake. Sigma’s original Optical Stabilizer (OS) technology uses two sensors inside the lens to detect vertical and horizontal motion. By adjusting particular lens elements, the OS compensates for detected movement, thereby minimizing blur caused by camera shake. This can provide stabilization equivalent to using a shutter speed four stops faster. 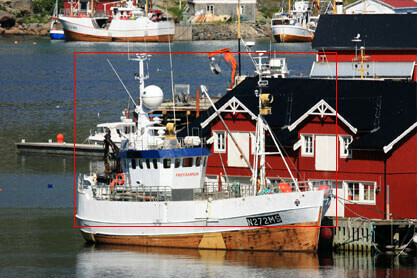 Since stabilization takes place within the lens, what you see in the viewfinder is the resulting stabilized image. 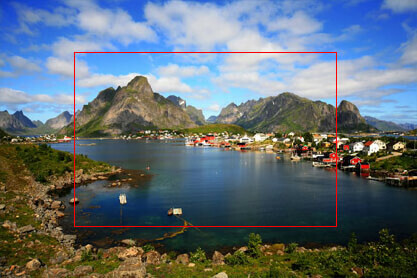 This lets you confidently judge focus and composition. Two OS modes are available, depending on the lens. 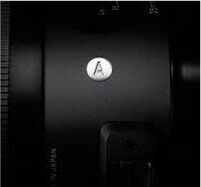 Mode 1 detects and corrects vertical and horizontal motion, ideal for shooting with the camera in a fixed position. Mode 2 detects and corrects only vertical motion, making it ideal for panning, as when shooting motor sports, for example. Angle of view and focal length. 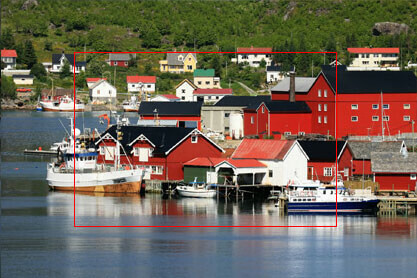 Angle of view is determined by the focal length of the lens and the size of the image (sensor or flm format) frame. 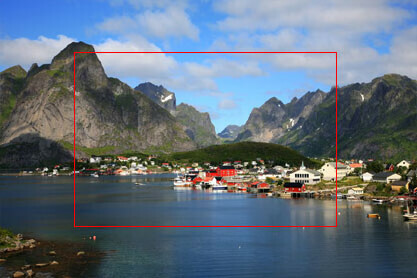 With a given image size, changing the focal length will change the area of the scene that appears in the photographic image. 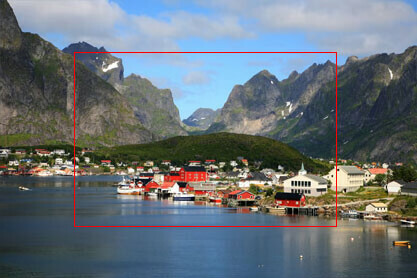 Expressed in degrees, this area of the scene is the angle of view, which in this catalog, is computed in reference to the diagonal of image formats measuring 36 mm x 24 mm, 20.7 mm x 13.8 mm and 23.55 mm x 15.7 mm. 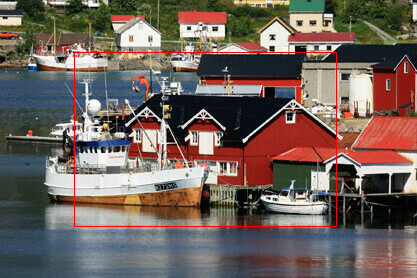 The longer the focal length, the smaller the angle of view and the greater the image magnification. The aperture controls how much light can be gathered by the lens. The lower the f-stop (F2.8, F4, F5.6, etc. 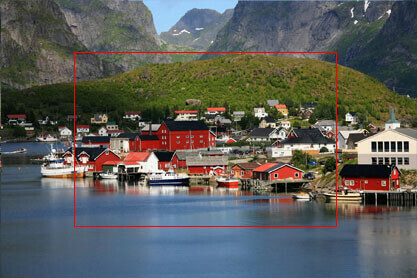 ), the larger the aperture and the more light it will transmit to the image sensor. A so-called “fast” lens (low f-stop at maximum aperture), lets you shoot with less illumination, use a faster shutter speed, or more easily create defocused bokeh effects, not to mention providing a brighter viewfinder image. F-stops represent focal length divided by effective aperture diameter. You can control perspective by moving nearer or farther from your subject and then choosing a lens that frames your subject the way you want. 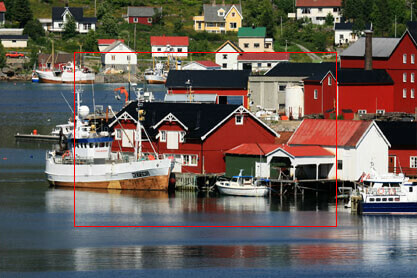 To compress the distance between foreground and background, step back and use a telephoto lens (or zoom in). 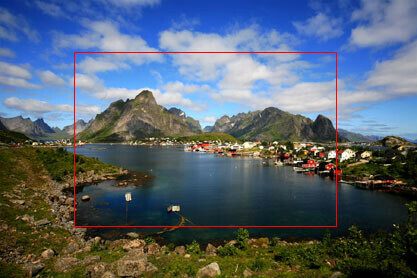 To spread out the background and emphasize distances, get closer and use a wide angle lens (or zoom out). The telephoto isolates your subject, while the wideangle lens includes the subject’s surroundings. When you focus on a subject, some objects in front of and behind the subject will also be in focus. “Depth of field” refers to the depth of this foreground-background distance. A smaller lens aperture (higher F-stop), increases depth of field, bringing more foreground and background into focus. 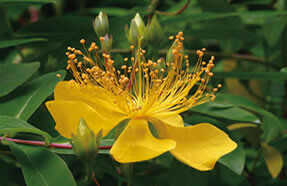 A larger aperture (lower F-stop) isolates your subject with a blurred “bokeh” foreground and background. Focal length is also a factor. 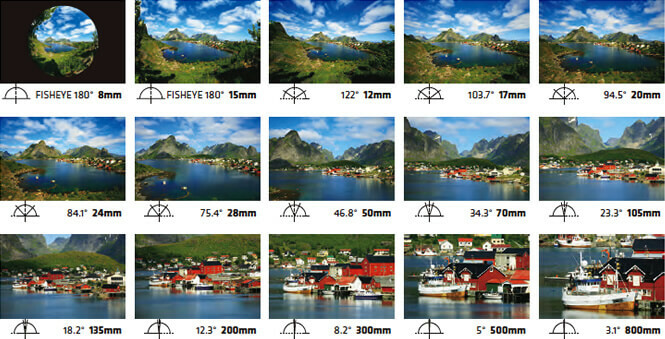 Telephoto lenses have less depth of field, wide-angle lenses have more.